Legacy of Discord Featured on Google Play! Legacy of Discord – Furious Wings, the highly addictive action MMORPG from developer GTarcade, has been featured on Google Play once again! 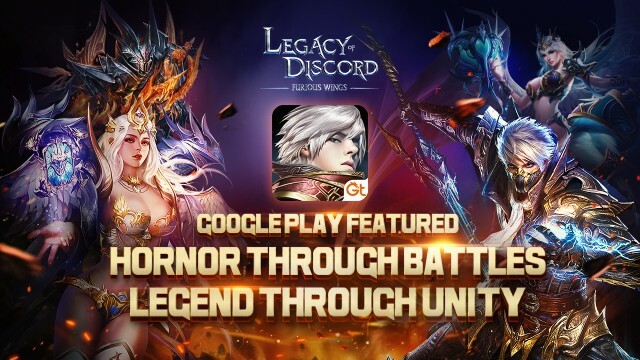 This is the second time that LoD has been featured by Google on a global scale, and with millions of downloads per month, more players than ever are discovering the hottest action game on mobile. Plus with the recent launch of the Multi-Language version, LoD is more accessible than ever with support for 8 international languages! Legacy of Discord was in the spotlight even before its release, having been highlighted at Apple’s WWDC 2016 to showcase what next-gen mobile games are capable of. Senior developers praised the game for its high end graphics and smooth performance, and gamers agreed. 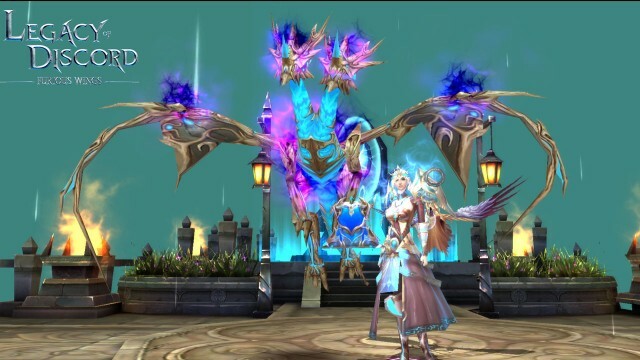 After it’s official launch, LoD quickly rose to the top of the charts, breaking into the Top 10 mobile games rankings in over 20 countries and regions, and ended 2016 with the Best Action Game of 2016 award from gaming portal MMOsite. So what’s the fuss all about? 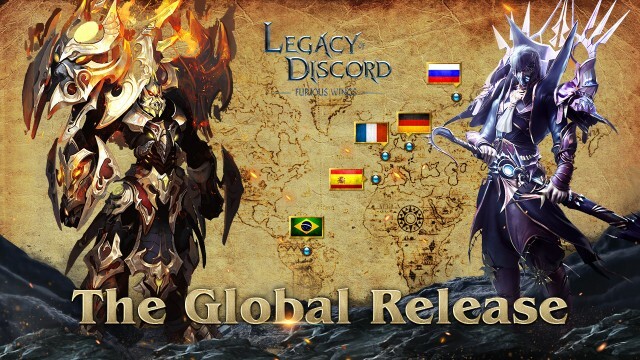 Legacy of Discord is a highly polished, insanely fun real-time action RPG with stunning 3D graphics that takes mobile gaming to a whole new level. Whether you enjoy raiding dungeons or PvP, playing solo or with a group, LoD has something for everyone. With multiple ways to upgrade your character and hundreds of equipment to collect, the customization options are limitless. Join Legacy of Discord and begin your journey through an epic fantasy world full of excitement and peril. Enjoy a visual sensation as you hack and blast your way through the legions of darkness on your quest to save Aurora. Don’t miss one of the best high-action experiences on mobile! Play now for free!